The fine comic making folks at the Webcomics Alliance discussed the issue of a creator politics on a recent podcast, and talked at length about how that affects your perception of that creator's work. With that in mind, here is an overtly political cartoon. I despise politicians, and everything they represent, and all levels. 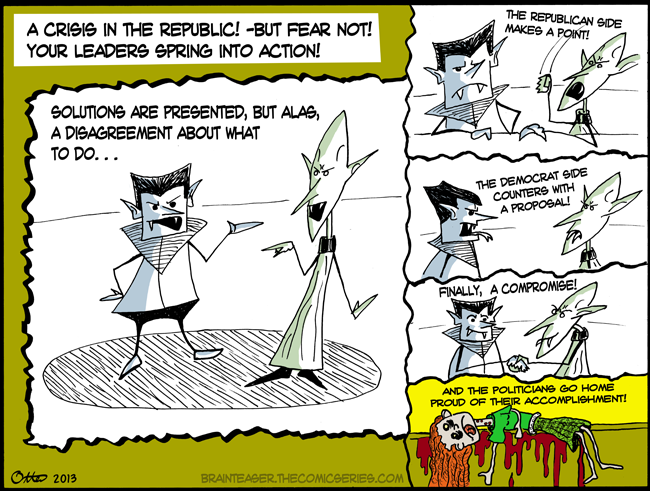 The use of the vampire as a metaphor for the political parties is overly generous, I know, but amorphous, inhuman scum makes for a less interesting comic.